The Farmhouse journey began in the Spring of 2011 with a small house near a defunct vineyard in Persimmon Valley, located in the North Georgia Mountains. We had about $400 in the bank, a vision, 5 guests, and a sack of groceries. 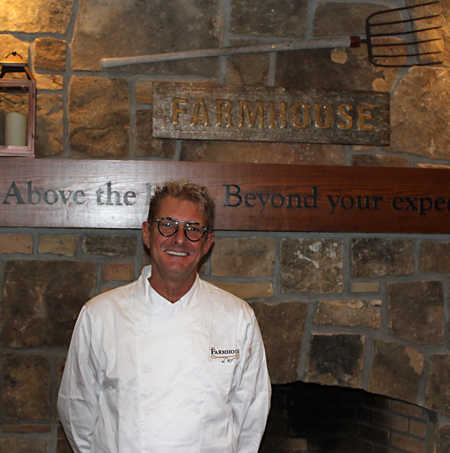 With 8 years of diligent work and development simply preparing food in a common household kitchen, The Farmhouse has grown to building a customer base with over 100,000 dinners served. The Farmhouse evolved plate by plate, each meal prepared and served with great care and a sincere passion for food. It is with great pleasure that The Farmhouse writes a new chapter. At the new venue, The Farmhouse at Waterfall Club has more space, and has become a more visual experience for our guests along with the well known Farmhouse cuisine. We continue to bring simplicity to the next level by utilizing global products, and helping local farmers in honor of supporting our growing community. We look forward to making many new friends and sharing our passion in the new location at Waterfall Club! Please join us! As a native of North Eastern Ohio, I grew up in a traditional Sicilian household. My passion for food is the direct result of being involved with the preparation of family meals. In our family, meal time was an integral part of life. So much attention to detail was given in perfecting recipes and utilizing each others’ abilities to create meals with farm fresh ingredients while implementing the change of seasons and products available. These family traditions have inspired me to usher the same approach to my own restaurants, while bringing simplicity to new levels. 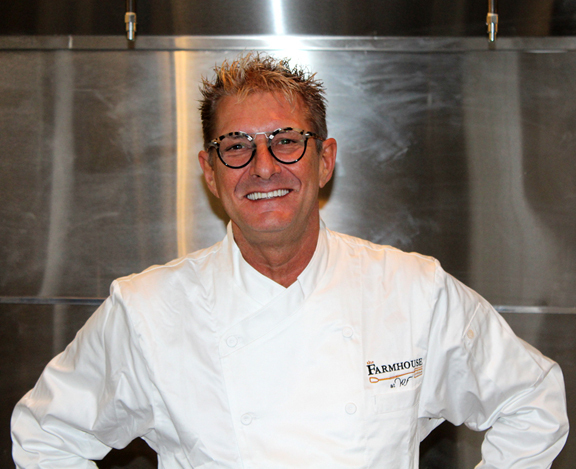 Although I have no formal “Institutional” training, I am very fortunate to have worked with many world renowned chefs and restaurants in my Culinary Career, including: Chef Jean Pierre Brieher, The Left Bank Ft. Lauderdale, Florida, G. G. Romano, Papparazzi’s Manhattan, New York, and La Tavernetta Tamarac, Florida.